Take a layer of puff pastry and cut it in +/- 24 wheels. Put the wheels into the muffin tins and start preparing the cream. Dissolve the flour in 200 ml milk. Boil the remaining milk, along with the cinnamon stick and lemon zest. While the milk is boiling, add the mixture carefully and make sure to dissolve it well (by mixing energetically). Take off the stove. In another pan, boil the water with sugar. Once ready, pour carefully into the cream and stir well. Leave the mixture to cool down. Separate the yolks from the whites. Add the yolks to the cream mixture and stir well again. 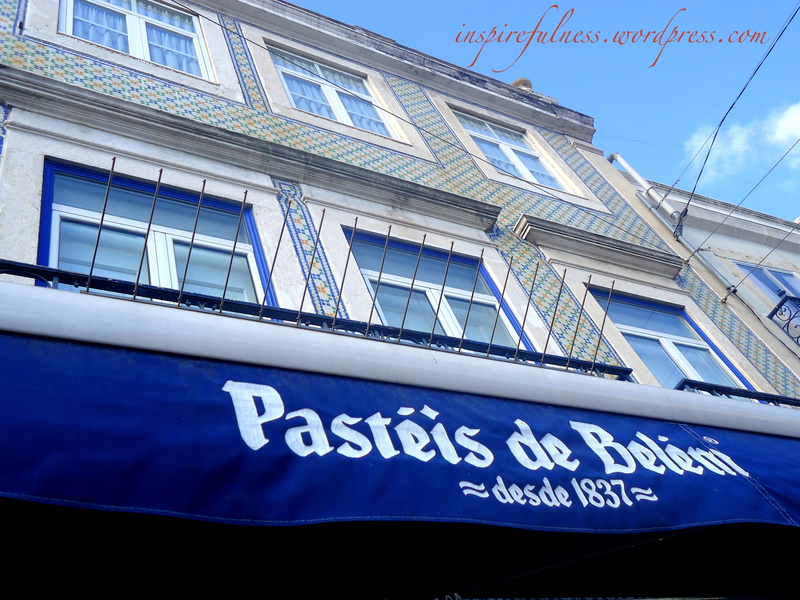 Pour the cream onto the pastry wheels and bake your Pastéis de nata in the preheated oven at 250 degrees for 30 minutes. 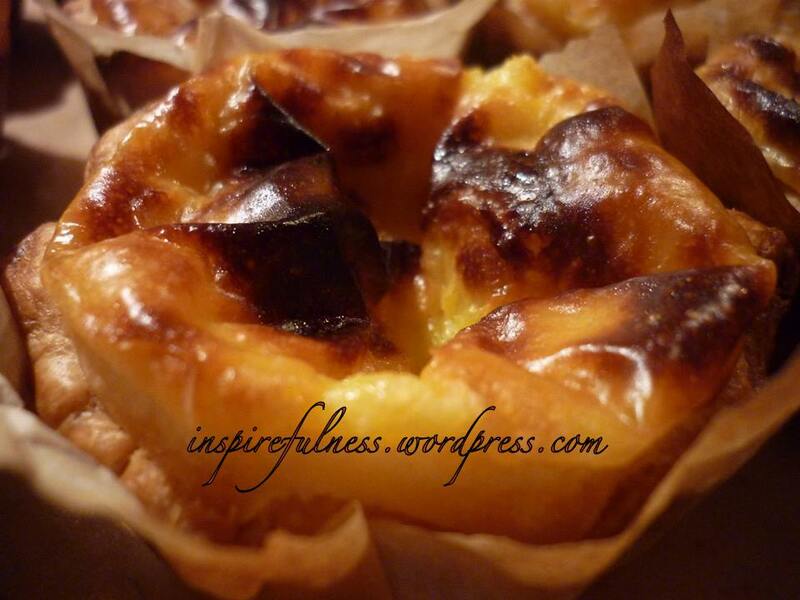 This entry was posted in Inspiration, My thoughts and tagged delicious pastry, dessert, nigella lawson. Bookmark the permalink. Haha, so you DID manage to bake those. How did they taste? 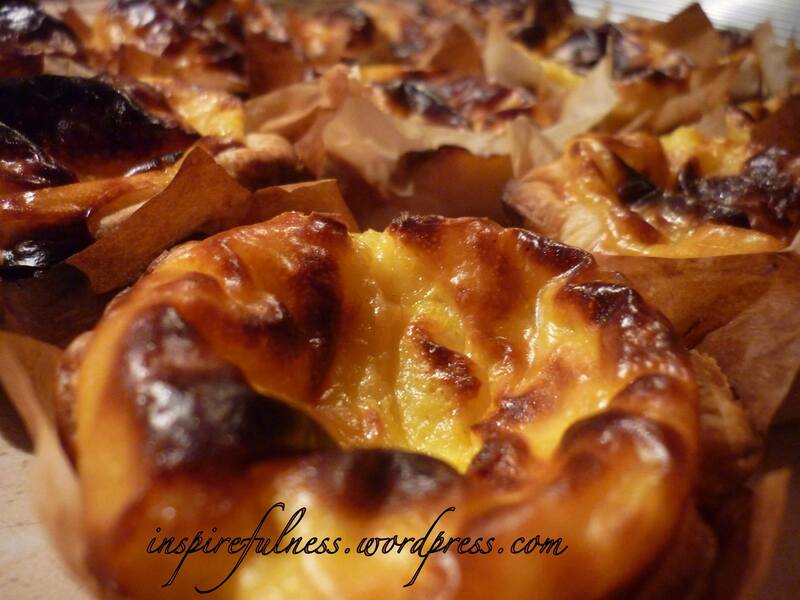 They Look yummi and make me wanna go back to Portugal once again.